Our goal for preschoolers is to give them the confidence and basic movement and sports skills to be ready for a team sport or just the playground in elementary school. The love of moving and playing sports is what we try and give all children we are lucky enough to teach. In a Movement Madness Pre-school/kindergartners class we want the kids to learn and feel successful. We provide them with a 1/2 hour to an hour of movement and sport skills. Class always begins with a cardio game where all kids are moving and having fun. Then we move to a sport skill where the kids are learning one or more specific skills as well as taking turns and standing in a short line. Class is always fun with lots of movement. Pre-school aged kids (3-5) are a great age to start learning the basic skills needed to play sports . These skills which include throwing, catching, kicking, skipping, galloping etc as well as learning to stand in a line, take turns, follow simple instructions/rules and how to be a good teamate. Starting pre-schoolers in organized sports too early provides frustration to not only the kids but parents as well. Learning these basic skills before introducing them to a team sport can provide them with much greater success and less frustration . 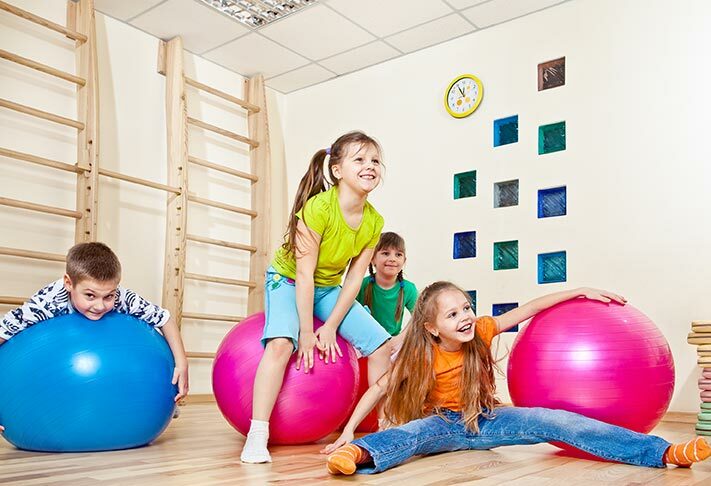 Sport classes for kids this age should 1)always be fun 2)provide fun instruction on basic skills 3) provide the pre-schooler with the sport skills they need to move to team sports 4) and should not be about winning or losing. In a MovementMadness Pre-school class we want the kids to learn and feel successful. We provide them with a 1/2 hour of movement and sport skills. Class always begins with a cardio game where all kids are moving and having fun. Then we move to a sport skill where the kids are learning one or more specific skills as well as taking turns and standing in a short line. We end with a fun game or relay where they put some of their new skills to use.